Squire Stainless Steel Disc Padlock 70mm DCL1 - Shackle Diameter 9.5mm, Shackle Clearance 17.5x17mm - Material Stainless Steel. 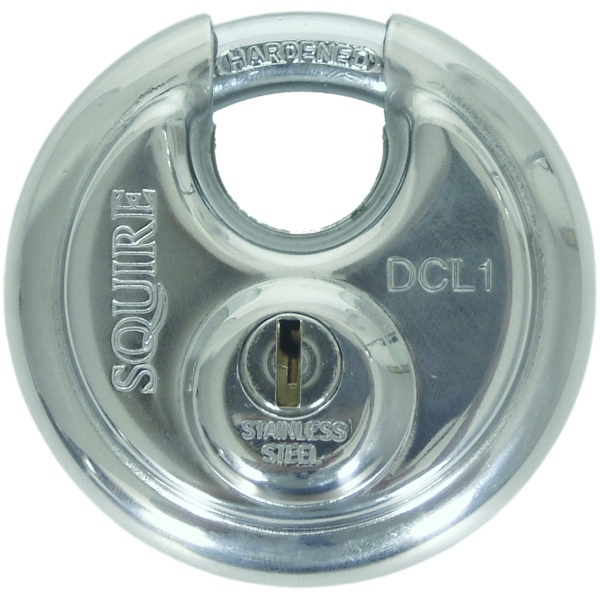 Squire Stainless Steel Disc Padlock 70mm DCL1 has a closed shackle design which offers high level security for domestic and commercial applications. For extra security, the 5 pin tumbler lock mechanism is protected by a hardened steel anti-drill plate. Comes with a key fob on the key for easy identification.